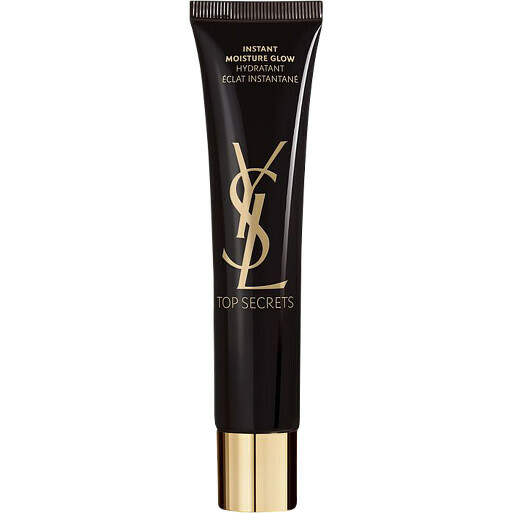 Provide your foundation with a plumped and hydrated base when you use the Yves Saint Laurent Top Secrets Instant Moisture Glow, a shot of moisture that conditions skin for up to 72 hours. A skincare boost that’ll leave you looking radiant, the Top Secrets Instant Moisture Glow is a real makeup artist secret. Perfect for the times when your complexion is too parched to create a smooth canvas, this lightweight and refreshing gel-cream will be just what you need to fake a perfectly primed look. Even if you don’t have dry skin, this moisturising base works wonders throughout the day to add radiance and restore bounciness back to parched, fatigued skin. Within Top Secret Moisture Glow lies the Hydractive Complex, offering hydration that lasts for three whole days, while also working to defend skin from external stressors. The infusion of neo-skin powder works with the temperature and humidity of your complexion to distribute moisture, whilst the Backlight Complex reflects light for a glowing makeup result. If you tend to burn the candles at both ends or the demands of life have gotten the better of your skin, this multi-tasking moisturiser blurs, hydrates and creates a smooth and even canvas. It’s great if you haven’t got time for your moisturiser to sink in before your foundation as, within seconds, skin looks and feels more satiny – even if you’ve not gotten your 8 hours of sleep! Apply Instant Moisture Glow all over your face and neck before applying your favourite foundation. You can even use it throughout the day to restore lost hydration and radiance.